Top Golfing Holiday Destination In the World! If you’re one of the millions of golfers around the world who want to put the best possible golfing experiences on your bucket list, then your mission should be Mission Hills in China. 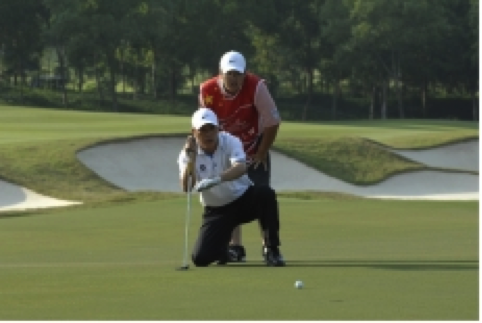 Mission Hills - the world’s largest golf complex spread over more than 10 square kilometres between Shenzhen and Dongguan in China – offers a golfing experience that cannot be found anywhere else in the world. Mission Hills comprises 12 world class championship courses built by some of the world’s best players and designers from five continents, such as Jack Nicklaus, Ernie Els, Nick Faldo, Jumbo Ozaki, Greg Norman, Vijay Singh, David Duval, David Leadbetter and Jose Maria Olazabal. Additional courses have been designed by Swedish champion and World Golf hall of fame female player Annika Sorenstam, China’s top player Zhang Lianwei, and American master golf course designer Peter Dye. Mission Hills has been the home of professional golf’s World Cup 12 times, and the fact that average club golfers or even everyday hackers can play on the courses has not diminished their quality or challenges. Each player can choose their own level of difficulty by the multiple tees on each of the 216 holes. You can even pick your own courses based on the whims of the designers – whether you want to challenge the multiple bunkers placed by Olazabal (26 on his signature hole) or the water and sloping lies preferred by Leadbetter. And there are over 1,000 caddies available to guide you along the way. It is so big that over 2,000 players could hit off during the day and you would still feellike you have the course to yourself. Average round time is just over four hours. Similarly they could all dine in the multiple restaurants, or together with their families could stay in the five-star accommodation facilities and nothing would be crowded. Little has been spared in providing the highest quality of facilities, food and other amenities and services (the convention and exhibition centre alone is larger than the United Nations headquarters). There are few places in the world where you will find that every one of the 10,000 employees from 20 different countries are friendly, courteous and interested in making your stay as good as it can possibly be. A big bonus is that, relatively speaking, a holiday or golf experience at Mission Hills is also not overly expensive when compared with trying to achieve the same outcomes anywhere else in the world. As for how you can best put it on your bucket list? There is nowhere else in the world where you could play 12 world championship golf courses over two weeks without changing your first class accommodation and at the same time have lots of other great fun. However that may soon change – the Mission Hills Group has already completed a further 10 championship courses at Hanian Island and have another 10 on the island in the pipeline. Whether alone or with a group, Mission Hills Shenzhen is without doubt the number one golfing holiday destination in the world. Check out the Mission Hills Spa which is one of the best in the world. Send us your story about a golfing holiday destination or experience.